Zach Blanchard is a reporter at NEWS CENTER Maine in Bangor, ME, specializing in general assignment reporting. Zach joined the NEWS CENTER Maine team in July 2016. Since then, he has told stories all across the state and beyond—from the Emmy-nominated coverage of Wreaths Across America’s journey from Maine to Washington, DC, to continuing coverage of Senator Susan Collin’s decision whether or not to leave her senate seat to run for governor. He has also produced in-depth pieces centered on suicide prevention and held public schools accountable when it comes to addressing relentless bullying. 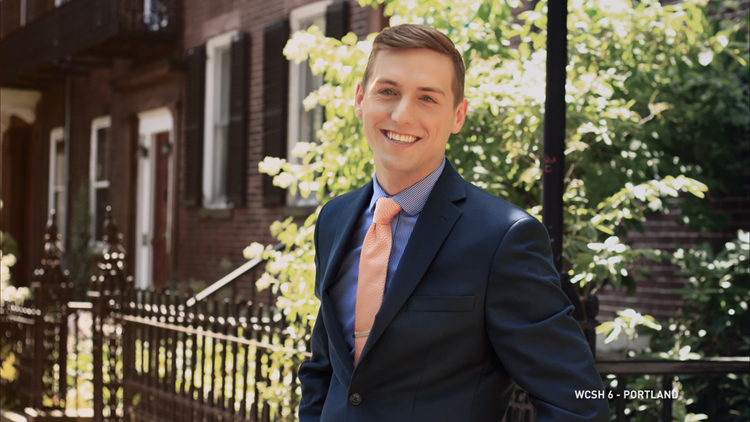 Zach grew up in a small town in New Hampshire and later attended Quinnipiac University in Connecticut where he received degrees in Political Science and Journalism. He worked as an intern at WMUR ABC 9 in New Hampshire and right here with NEWS CENTER Maine in Portland in 2014. Zach continued to experiences at NBC News in New York City where he spent a year as a Production Intern at MSNBC and then at the TODAY Show. At the network, he was able to take part in some of the country's largest breaking news stories as well as the launch of new shows including Sunday TODAY with Willie Geist. Now, Zach is passionate about grassroots journalism and telling stories that TRULY MATTER to Mainers. In his free time, Zach enjoys exploring the best restaurants along Maine's coast. You can follow Zach on Twitter @ZachBlanchard or like him on Facebook here. Feel free to email any story ideas to zach.blanchard@NEWSCENTERmaine.com.